Do you want to organize your wedding in the beautiful location of Scopello or in the seaside town of Castellammare del Golfo? Your guests come from abroad or from other places and do not know how to organize travel, location, hotel? Do not you know someone in the area who can help you? Well we'll take care of it! a young, dynamic and friendly company with more than 8 years experience in tourism. Nonna Giò Transfer, born from the idea of making known to our future guests our territory, offering them the organization of events and wedding services in Scopello and Castellammare del Golfo, from the choice of location, to accommodations for guests, to the care and management of details of the ceremony, availing itself of the collaboration of important local companies and wedding planners. Who better than us knows this territory? 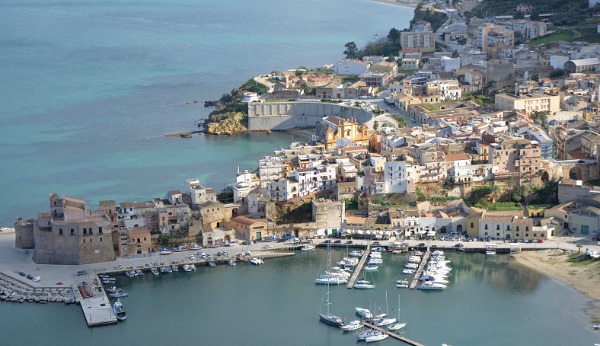 Find the perfect location to celebrate your wedding in Sicily: Scopello o Castellammare del Golfo. The pleasant atmosphere for your special day. Scopello unique beauty, with its location on the coast and breathtaking views of the seaside, it is the ideal romantic location for you and your loved ones to celebrate and make memories to last a lifetime. Participate in a group marriage to forget the question of who should act as chauffeur. Our rental service with driver taxi service will accompany you from the arrival at the airport of your guests, to hotel accommodations, to the various movements agreed for the duration of your stay, from the welcome aperitif until the end of the celebrations in complete safety departure of guests with Transfer services from hotels to airports. At your disposal our dynamic and professional staff with safe, efficient and comfortable means. Please contact us for more information on planning your wedding in Scopello.